We all know how Google Drive can help us in day-to day activities, be it simple document editing or more complex team collaboration work. The fact that you don’t need to bother transferring your documents from one computer to another and that you can access every document from wherever you are, as long as you have a proper Internet connection, can make your day pretty hassle-free. Imagine if you could work in Google Docs offline – wouldn’t that be like a cherry on top? The first step you need to take before you lose your Internet connection or before you go to a place without Internet (such as airplanes, beaches, forests..) is to open your Google Drive. Now click on the gear button at the right top side of your screen. Click on the Settings and the window will pop up (as shown in the image below). 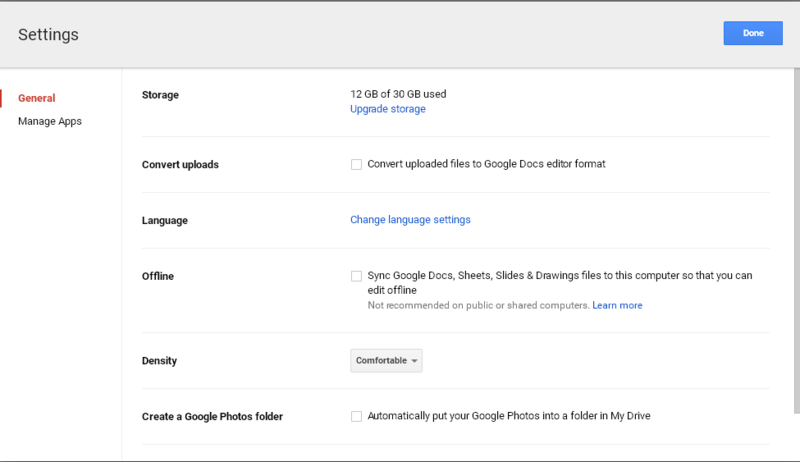 By ticking this option, the latest version of your files from Google Drive will be saved on your computer and you will be able to edit them offline. However, once you edit the files, you won’t see the changes you made offline until you go online again. You will need to access those files via Google Drive. So, using Google Docs offline can be a lifesaver, especially when you are on a deadline, somewhere out of town or with a poor Internet connection. Just don’t forget to tick that Offline option before you go offline.